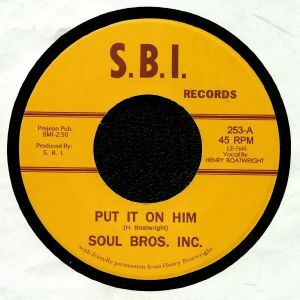 SOUL BROTHERS INC Put It On Him vinyl at Juno Records. 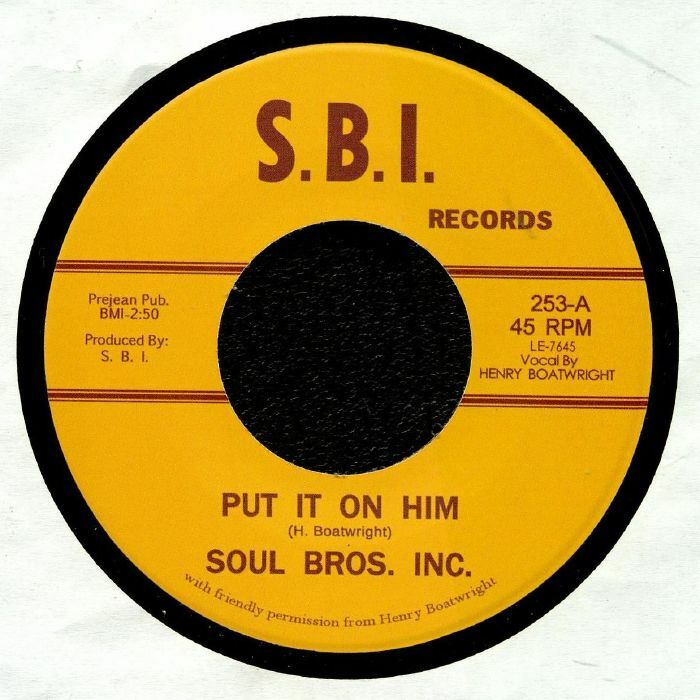 George Brown (Vocals, Bass) Johnny Prejean (Drums), Charles Conrad Greenway (Vocals, Keyboards) Cliff Faldowski (Guitar) and Henry Boatright (Sax) made for quite the ensemble under their Soul Brothers Inc moniker, a project that ran from the late 60s through to the mid 70s and one which defined the Texas soul sound thanks to countless releases through the infamous S.B.I. Records. 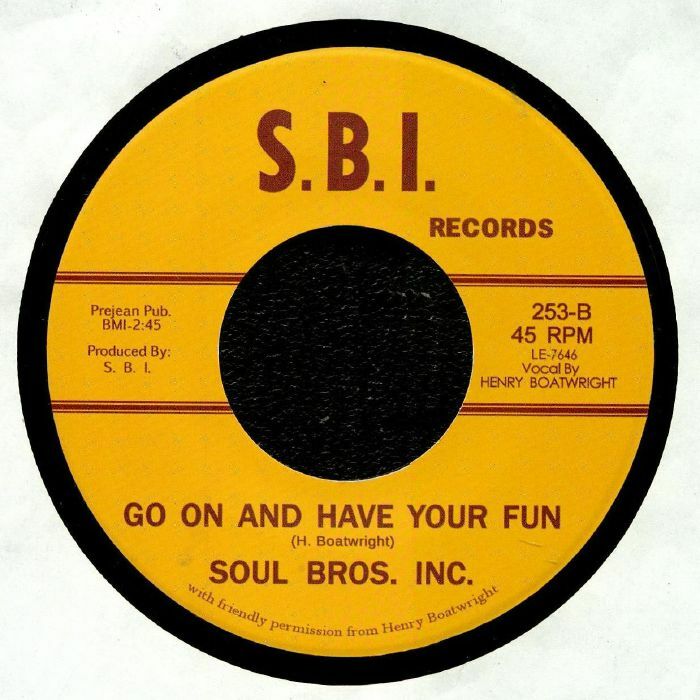 "Put It On Him" and "Go On & Have Your Fun" featured on one of the 7" singles that the band put out in 1971, and they still sound as fresh and as funky today as they did back then. Most importantly, both tunes have a very definite 'Texan' sound running through them, nodding to a country living that could not be matched by artists from Detroit or Philadelphia. It's their city, their vibe, their sound - and it sounds damn fine.